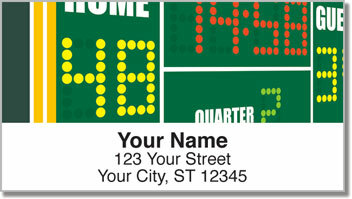 Here's a great looking set of personalized address labels that's tailor-made for the football fan whose favorite team wears green and gold! We know how it is when Sundays revolve around your love of the game. After all, you didn't buy that 47" flat-screen TV just to get a better look at the weather, did you? 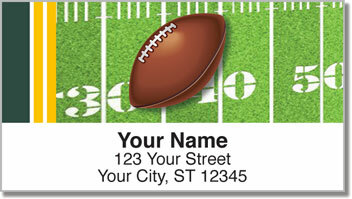 With Green & Gold Football Fan Address Labels from CheckAdvantage, you can show your affection for your beloved team every time you send an envelope in the mail. 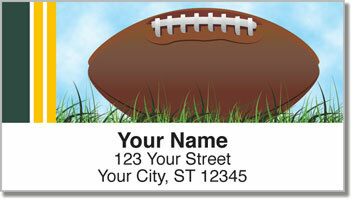 Besides, they're lots cheaper than a share of stock in the Green Bay Packers! 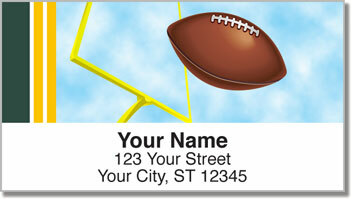 This design is also available as a set of matching Green & Gold Football Fan Personal Checks. Order both today!